We are over the moon. On September 30th, we learned that our film, Gross Indecency the Everett Klippert story won the Best Alberta Short award at the Calgary International Film Festival. Congratulations are due to the talented director, Laura O’Grady and Spotlight Productions for making this film. The long-awaited book Kevin has been working on is almost complete. The content is done and it is in the design phase. Here is a sneak peak of the cover, a woodcut by the accomplished Calgary artist, Lisa Brawn. It is her take on the iconic Club Carousel logo. 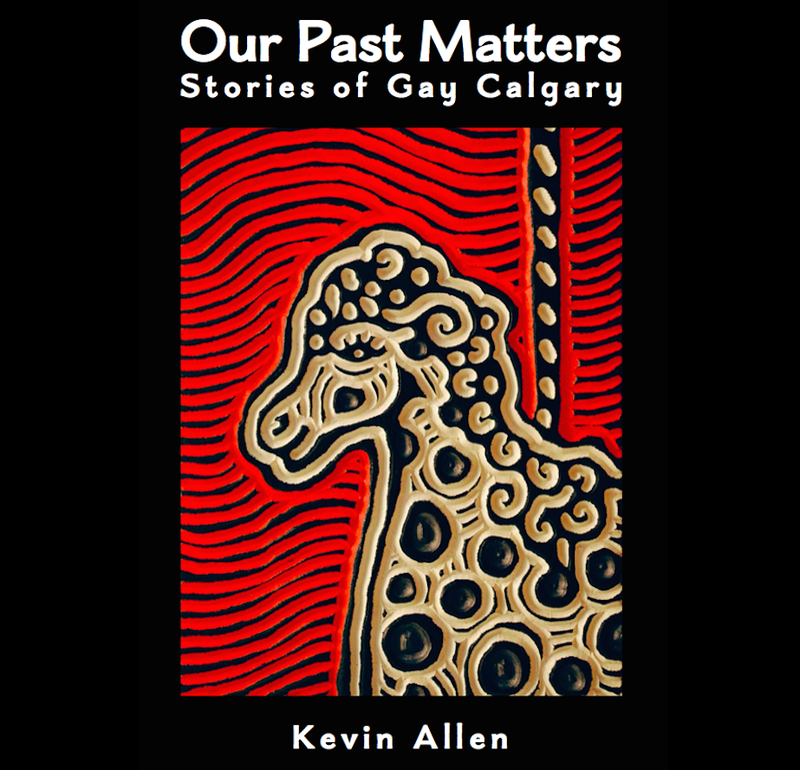 Our Past Matters: Stories of Gay Calgary should be on sale November 21st – we are much looking forward to sharing it with you. When we started the Calgary Gay History Project in 2012, we had no idea the journey it would take us on. Currently, we are working with filmmaker Laura O’Grady from Spotlight Productions on a short film about the life of Everett Klippert. This week, we travelled with cinematographer Patrick McLaughlin, to Everett’s niece Katherine’s farm, three hours from Calgary. Everett requested to be buried here next to his beloved sister Leah (also Katherine’s mom): stalwart defender of Everett in his protracted tangle with the Canadian state. Everett Klippert’s headstone. He is buried next to his sister Leah and brother-in-law David. It was Leah, a legal secretary in Calgary, who fought Everett’s unjust incarceration and categorization as a dangerous sexual offender. It was Leah, who gathered the resources and expertise to challenge court decisions, pushing Klippert’s case forward to the Supreme Court. It was Leah, who travelled to the Northwest Territories to support him at trial, and who visited him regularly in the Prince Albert Penitentiary. It was Leah, 20 years older than Everett, who acted as a mother to Everett when they lost their mother to kidney disease in 1933. Everett was then six years old. So on this Mother’s Day Weekend, we would propose a toast to Leah, mother to many, and mother to a better world for Canada’s LGBTQ2 community. Klippert family photo: Front row: Merton Klippert (Everett’s father), Everett and Leah. Back row: Everett’s seven older brothers!